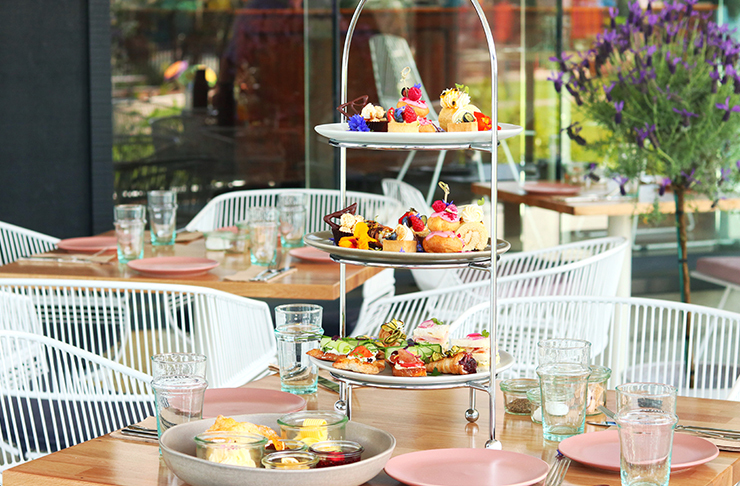 The Chelsea Sugar Factory is back and home to Auckland’s sweetest new opening, Sugar. As scrumptious as it sounds, the eatery is the result of a partnership between Fran Mazza and Aaron Carson, of Winona Forever and Rude Boy and Chelsea Sugar. It's a match made in foodie heaven if you ask us. A cool, slick and bright atrium, the space features pastel hues and curated furnishings that’ll have you feeling like you’re Charlie in a chocolate factory. 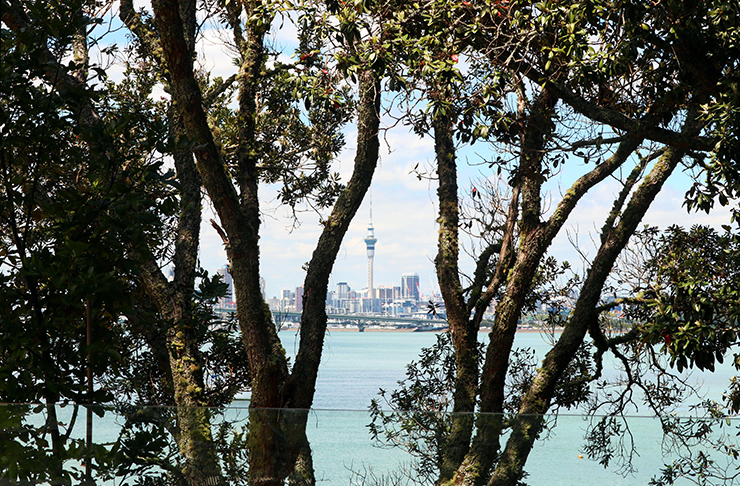 You’ll be left awed by the breathtaking view of the sparkling Waitemata Harbour and across to the city. The menu features Fran’s signature flair for the whacky and wonderful throughout. And with each dish as gorgeous as the next, it’s safe to say a trip to Sugar is worthy of a fully-fledged Insta shoot. Our top pick is the tangy vegan summer salad. A lush forest of green on a plate, this carefully constructed dish consists of purple and green cauliflower, wilted kale, fried nori, broad beans, radish, purple carrot, zucchini and halloumi all in a bed of refreshing maple turmeric herb dressing. Or, opt for something for a classic and give their epic bacon eggs benedict a try. Perfectly poached and runny, eggs sit on a herbed potato rosti with wilted fennel, picked petit onion and dehydrated apple smothered in a turmeric hollandaise that won’t disappoint. As breathtaking as the stellar view, the french toast is a must for every visit. Starring an elderflower pannacotta, dehydrated pear, warmed Kumeu strawberries, raspberry mascarpone all with a drizzle of organic maple and crushed meringue, it’s sure to hit your sweet spot. For seafood sensationalists, the fish and crab offering is for you. With sustainably sourced fish, tempura soft shell crab, asparagus, broad greens and young spring onion all in an indulgent beurre blanc sauce, it's a beauty of a dish. But wait, there’s more. Layer upon layer, a masterpiece through and through, Sugar’s high tea experience is not to be missed. A work da Vinci himself would approve of, this gorgeous stack comes laden with so many moreish sweet and savoury treats you’ll find yourself spoilt for choice. From cannoli to bruschetta and paired with fine Harney Sons tea range, it really does have it all. They’ve done it again and done it right. Open from this Saturday, round up this gang be one of the first to check out Auckland's incredible new addition. For more information about Sugar, including opening hours, click here.